Dune Allen Beach is the quietest of the towns along scenic Highway 30A and boasts the most full-time residents of all the 30A Florida beach towns. Located south of Highway 98, it begins at the west end of 30A and stretches all the way to popular Gulf Place Town Center. This gorgeous slice of paradise is famous for its rare coastal dune lakes, only found in three other places in the world. It is a family-oriented town, with top-notch schools. 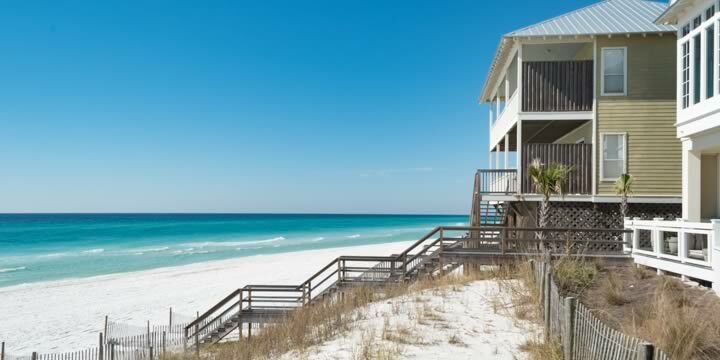 Since it is not a tourism hotspot, like the communities of Seaside, Watercolor, and Rosemary Beach; the beaches in Dune Allen are the most pristine of all 30A Florida beach communities. Houses in Dune Allen Beach vary in price and can range anywhere from $6,000,000 for beachfront to as low as $300,000 for an inland house. There are even condos and townhomes for as low as $170,000 - making these options superb for full-time, second-home, or even rental investments. If you are looking for a more affordable option, or are a first-time homeowner, the subdivisions of Escada, Shortline Lake, and Emerald Walk are a great choice. They are cherished in the community and offer the quintessential white picket fence feel. 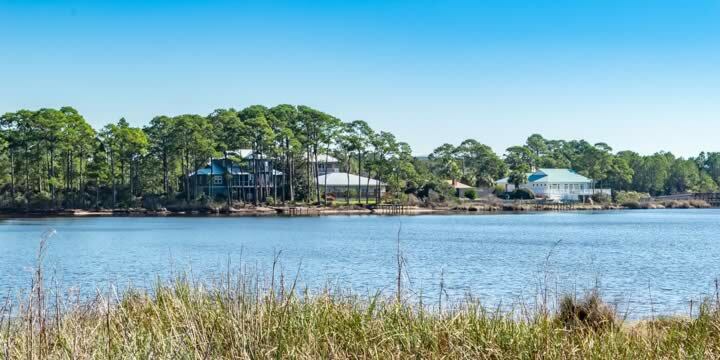 However, if you're looking for beachfront or have a higher price range, the subdivisions of Stallworth Preserve and Gulf Place are a good place to start. One thing that makes Dune Allen Beach so unique is many of its exquisite homes are not in a planned community, which allows freedom in the design of the home and sets the homeowner free from any HOA fees. "No HOA" is a big draw for many locals in the area and could be one of the reasons why this end of 30A has more full-time residences than other 30A communities. The lifestyle in Dune Allen Beach is quieter and more laid back than its other 30A counterparts. People here love the feel of knowing their neighbors and doing leisurely activities, such as community beach walks with friends and kayaking in the lakes. Dune Allen Beach has the benefit of the beauty surrounding it, without the crowdedness. Topsail Hill Preserve State Park rests within it, offering an abundance of wildlife and untouched nature for all to experience. They boast some of the nicest campgrounds you will ever see. The restaurants compete with the rest of 30A, home to eateries such as Stinky's Fish Camp, named a Top 10 Places to Eat Like a Local by USA Today and Crust Artisan Bakery. Don't forget shopping, with Gulf Place at the east end of Dune Allen; there are boutiques, farmers markets, and an abundance of restaurants that will satisfy every palate. And with the Santa Rosa Golf & Beach Club in the middle of Dune Allen, it is a great option for the avid golf lover and the individual who enjoys fine dining at the Club's exquisite restaurant, Vue on 30a. Dune Allen Beach is a unique haven for those who appreciate nature's beauty and a close-knit NW Florida community. If you are interested in a home in Dune Allen Beach, contact Emerald Coast Realty, and we will help you find the home you have always wanted. Gulf Place Caribbean Condo Bldg.